The Retro Store's Monthly Vinyl Club is designed for people like me, who love an eclectic range of music - often spanning many different decades - yet struggle to pick out just a couple of records from the sea of choice instore or online - there's always too many to pick from! However, with the Vinyl Club box, each month the specialist team at The Retro Store hand-select three vintage records for your listening pleasure. My box was actually a gift from a friend, so she had kindly supplied The Retro Store with a summary of my music taste. However, regular, personal subscribers can equally furnish The Retro Store team with their listening preferences to ensure that they get a well-balanced and well-suited selection of records each month. Or if you like to live on the wild side and are looking to discover different bands and artists, then you can keep quiet and await a monthly surprise. 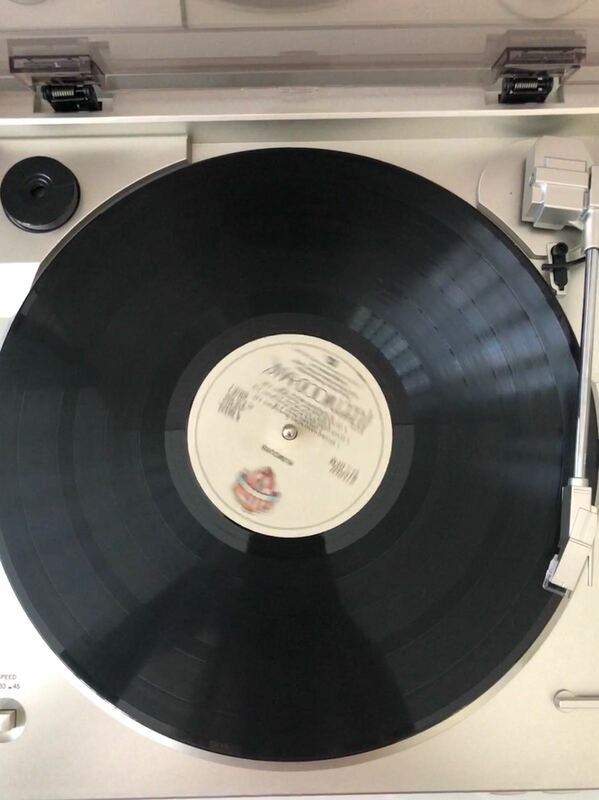 That aside, for me, nothing quite beats the sound quality of vinyl; no low-quality Spotify streams or sketchy radio broadcasts here - vinyl delivers the most authentic, pure sounding recreation of how the music was intended to be heard (and I am mildly addicted to collecting them). So as you can probably guess, I was reasonably (ok, hugely) excited to receive and spin my new records with the volume turned up to the max! 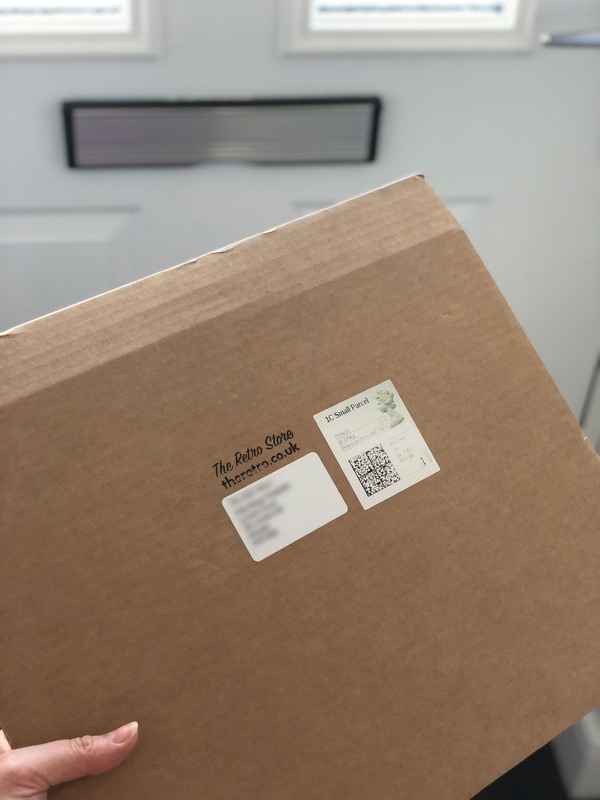 When the package arrived on my doorstep, I was presented with the same frustration-free packaging that I've come to expect when ordering vinyl records from the likes of Amazon etc. - safe, secure and fully-recyclable - just how I like it! Once I'd ripped it open, I was delighted to find my three handpicked vintage LPs, a handwritten note from my Retro Store tastemaker (Peter) and a bonus 45 EP to welcome me to the Vinyl Club #winning! The handwritten note 'officially' welcomed me to the club - which I liked as it made it feel very inclusive, just like a real club. It also mentioned that my tastemaker was aware that I am an avid Bowie fan - tick - proving that the team do actually take the time to review your taste profile and select records that you're likely to love. It also informed me that I had been sent a 'classic selection' this month - so far, so good. 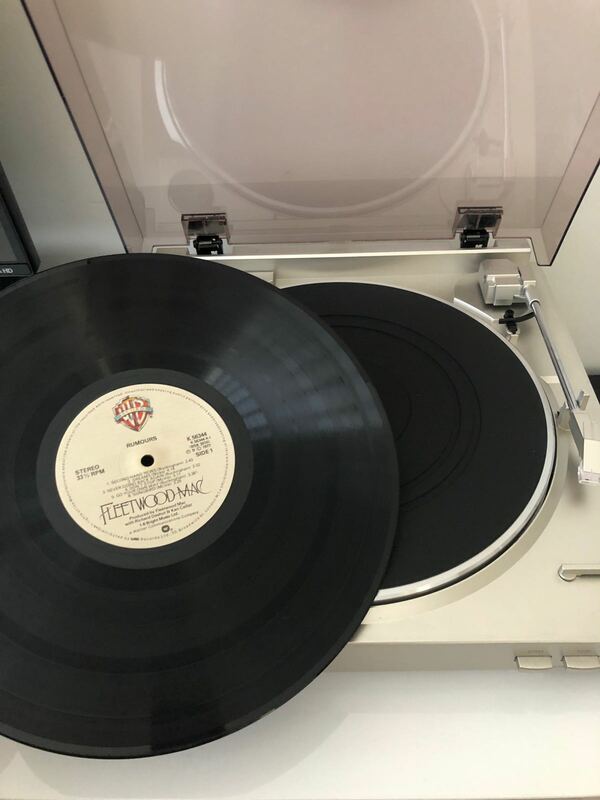 Excited as ever, I began to paw through my selection and was delighted to find a copy of Fleetwood Mac's 1977 classic - Rumours - hands down my favourite of theirs! And as a man who has been both fortunate enough to see them play live twice, but unfortunate enough to have lent/lost my copy of this very album, so this was an inspired pick from Peter - take a bow. Also in my selection was AC/DC's 'If You Want Blood, You've Got It' - a band I've toyed with in the past, and an album I'm looking forward to spinning later, and Paul Simon's 'Graceland', an artist and album I can't say I've listened to, so a new one to discover! Finally, the team had also included a copy of Gerry Rafferty's one hit wonder single - Baker Street, and let's be honest, who doesn't love that smooth saxophone riff? 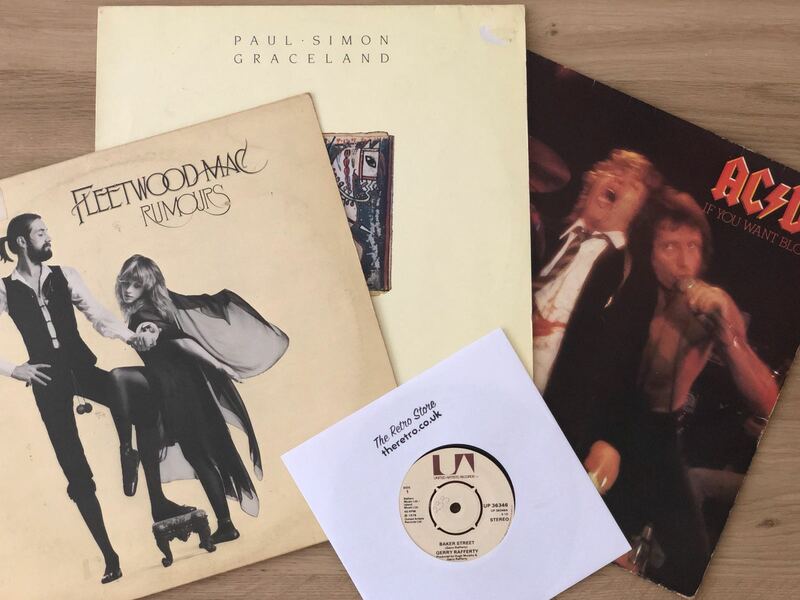 With an annual subscription to the Monthly Vinyl Club, you're looking at paying just over £20 per box, which for me, seems pretty good value for money when you're getting three, good condition classic records for your money - and not to mention The Retro Store team's curation talent! However, if you weren't looking to commit to an annual subscription immediately, you can still get a monthly recurring box for only £24.95. 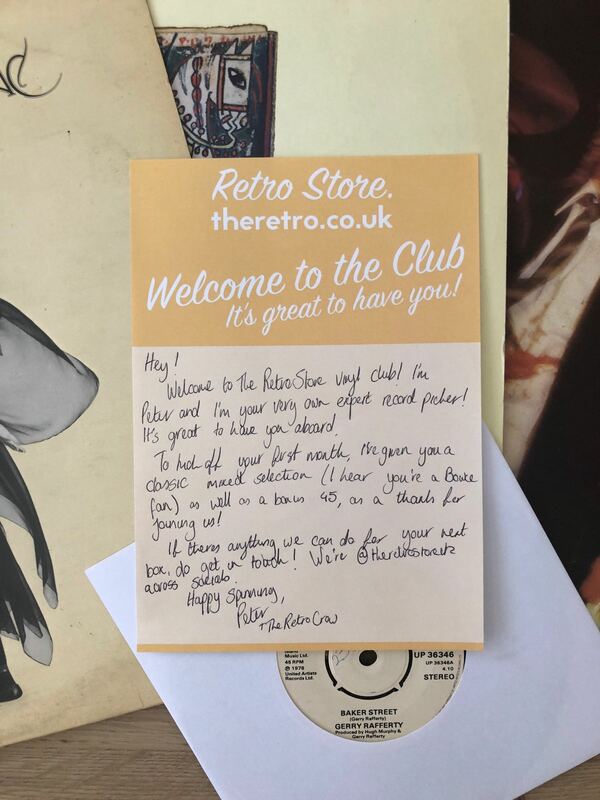 If you love your music and a little surprise every now and again then you can't really go wrong with the Retro Store's Monthly Vinyl Club. When you lead a busy lifestyle, it's not always easy to find time to discover new-old music or relive the joy of some of your favourite classics from the past, so this subscription box is definitely the solution to my music-buying habit, perhaps it might be yours too? Happy spinning! Enjoy the music you love, the way it’s meant to be heard with The Retro Store Monthly Vinyl Club. The subscription box that delivers 3 fabulous vintage records each month - crystal clear sounds for your eclectic music taste!